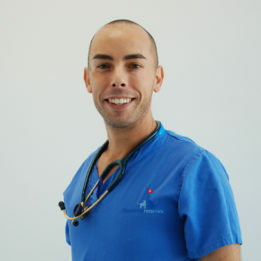 Limb sparing surgery reduces the need for full amputation of a limb in the presence of a tumour, deformity or major trauma, and allows the animal to retain normal function of the limb. Fitzpatrick Referrals offers two options; a radial or tibial endoprosthesis and a PerFiTS. Limb sparing surgery is an excellent option for giant and large breed dogs, heavy dogs, or those whose lifestyle would be severely impaired by amputation, those animals already living with three legs and animals with orthopaedic or neurological problems affecting their other limbs. Radial (lower forelimb) and tibial (lower hind limb) endoprostheses are usually used in dogs with bone tumours, such as osteosarcoma. 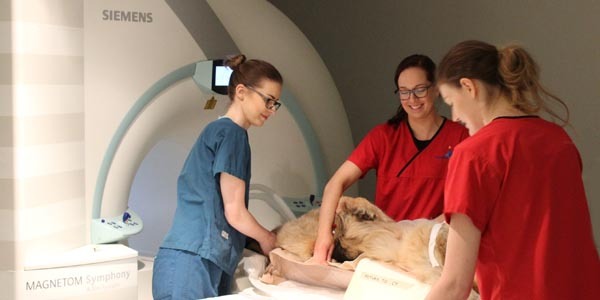 They involve the surgical removal of the area of bone affected by the tumour, which is subsequently replaced by a metal spacer and attached to the surrounding bones of the forelimb. Dogs with this special implant commonly retain normal limb appearance and function. 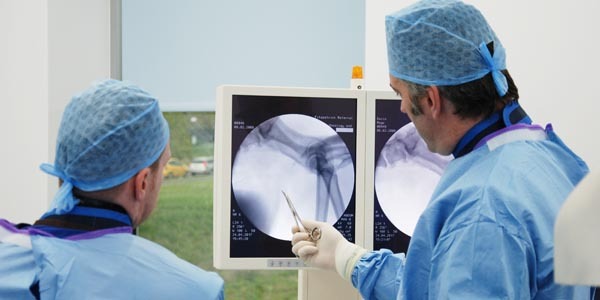 Fitzpatrick Referrals is one of the only hospitals in the world to offer this operation, and the only hospital offering this particular implant. Read more about the radial endoprosthesis or tibial endoprosthesis for bone cancer. The PerFiTS is a uniquely designed implant that replaces the end of a limb (e.g. below the carpus, below the knee, etc.) with an internal plate attached to the remaining bone and ending with a small peg extruding from the skin onto which a replacement “foot” can be attached. This implant is used for a variety of reasons such as deformity, tumours and trauma. Each implant is custom designed and made to accommodate each animals particular requirements and can be used on forelimbs and hind limbs. Read more about the PerFiTS. 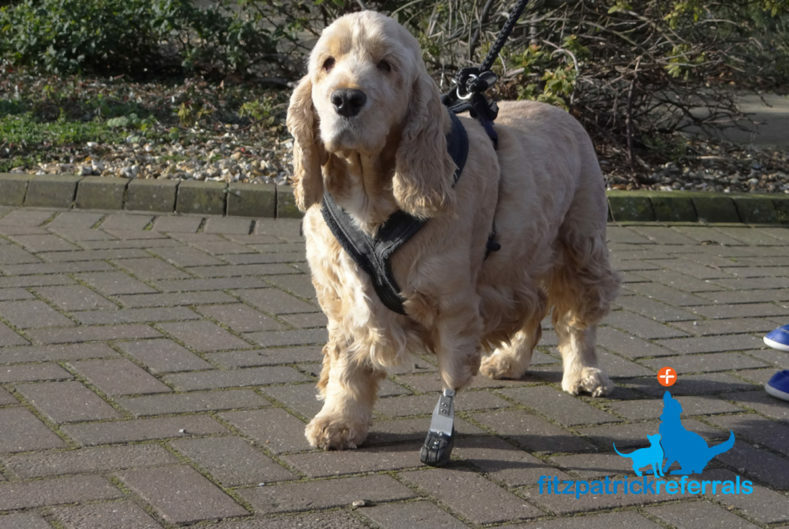 Archie now lives a fully functional and happy life with his family following surgery for a forelimb PerFiTS implant to replace the cancerous section of his foot, at Fitzpatrick Referrals. 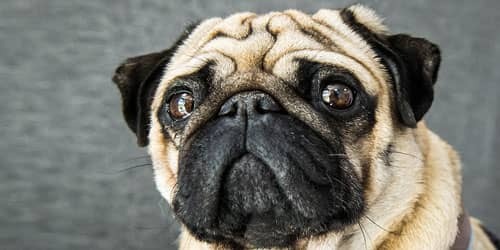 Is amputation a good option for my dog or cat? In some animals, amputation is a very good option and many recover well to lead full and happy lives on three legs. An animal’s response to amputation depends on many factors; their size and weight, the animal’s normal lifestyle, whether it is a forelimb or hind limb, and whether or not there are orthopaedic or neurological problems affecting the other legs. What should I do if I think my pet has a condition that would benefit from a limb sparing surgery? 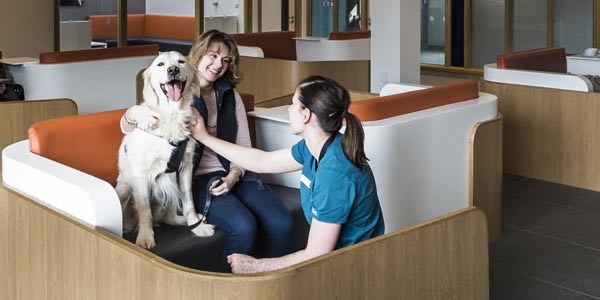 If you think your pet needs a limb sparing procedure, we recommend asking your veterinary surgeon to contact us for further advice on 01483 423761 and ask to speak to Hannah Prince or Cameron Black. We are more than happy to talk to your vet about what is involved with the surgery and ascertain if limb sparing surgery could help your pet.